The world has been waiting for an official Facebook tablet app, and waiting, and waiting. But that app may not appear on the iPad first (although Facebook is working on an iPad app for sure). Instead, Facebook’s first tablet app will appear on the HP TouchPad, which comes out this Friday and runs the WebOS it bought with Palm. 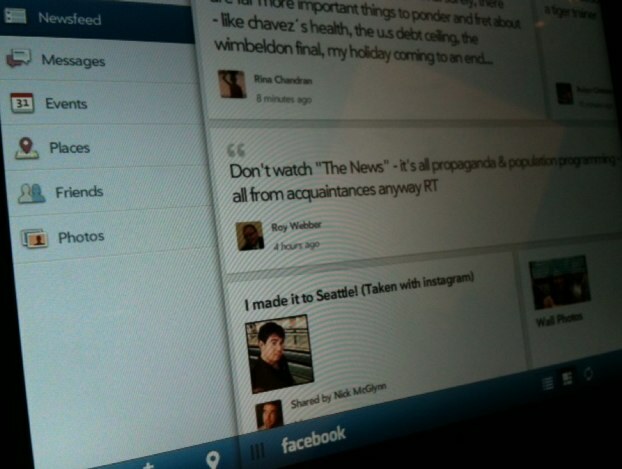 Unless the iPad app also launches this week, the TouchPad will become the first tablet with an official Facebook app. Given the tension between Apple and Facebook, a concurrent launch on the iPad seems unlikely. Update: Facebook has reached out to clarify that “this app was not built by Facebook but by HP.” Much like RIM built the Facebook app for the Blackberry Playbook using Facebook platform. I’ve changed the headline to make it more accurate. How do I know? 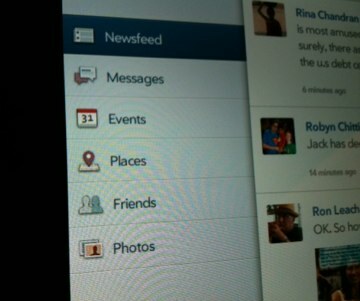 I got my hands on some screenshots of the Facebook app for the TouchPad. You can see them here. But what I wonder is if this is also what the app will look like on the iPad. 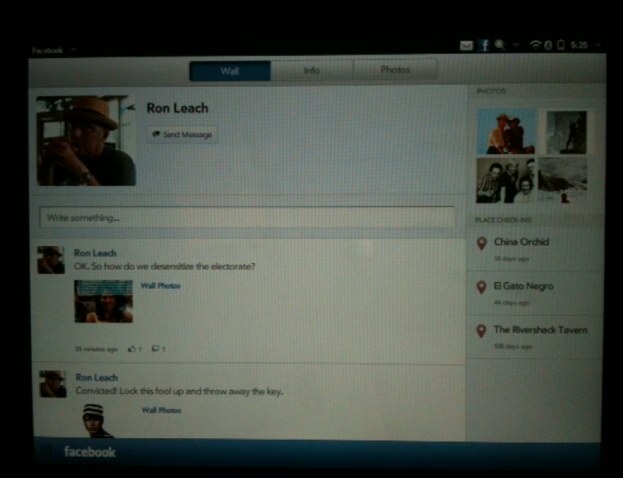 All I can say for sure is that these pics are from Facebook’s tablet app running on WebOS. A few features stick out. Along the left rail, which pops in and out, you’ve got your main navigation: Newsfeed, Messages, Events, Places, Friends, and Photos. 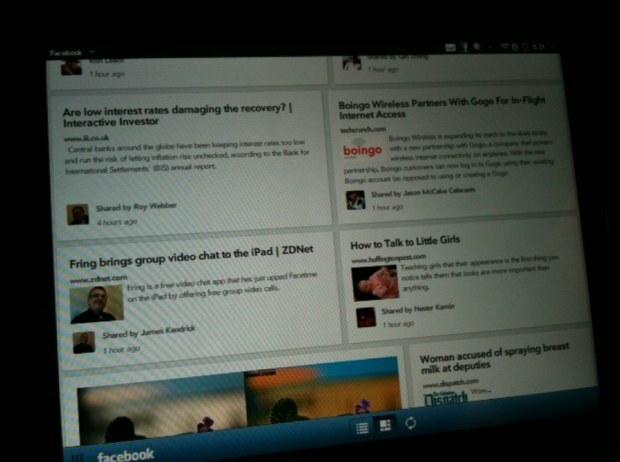 The Newsfeed can be viewed in both a stream view or a more tablet-friendly tile view. The tiles make better use of typography and images. Also notice the addition of Places and Photos to the left rail navigation. Places opens up a map with nearby activity and the ability to check in. 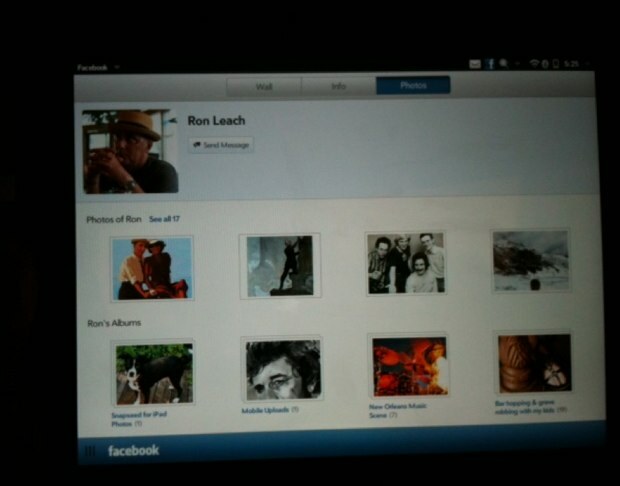 Photos displays your Facebook photos in a tiled album view. Profiles also highlight people’s photos. You can toggle between their wall, info, and photos. Judging from these images and others I’ve seen, the app really takes advantage of the extra screen real estate to good effect. Photos and Places especially shine. I really hope the iPad app looks similar.